If you are a homeowner, at any moment you may find yourself dealing with a leak or flood, during which you can immediately call the water damage Summerville crew at 911 Restoration of Charleston. We never want you to worry when you experience a leaky roof or a sewage overflow, because we are available 24/7/365 to respond to your emergency. Our entire operation is more than qualified to offer all same day service for water disasters to the entire community, and we are prepared to do that at any given moment. Call our IICRC certified mold removal Summerville workers as soon as you find unwanted water on your property and we will get it fixed up in no time. Our licensed, bonded and insured experts are the best company you could call to assist you when you need comprehensive home restoration. 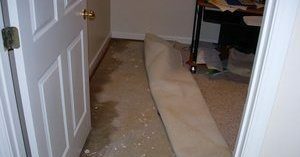 Our water damage Summerville members work quickly to cleanup all water damage and any residual effects of the moisture. We know our way around a pipe burst, toilet overflow, and rain leaks, so you can feel confident when hiring our mold removal Summerville techs knowing that we will get the job done correctly, the first time around. 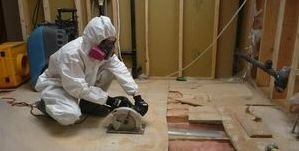 We want you to be aware that the best way to ensure proper home restoration, is to take preventative measures before the water ever invades your home. If you keep your household maintained, and water damage still occurs in your home, you can call our mold removal Summerville experts and we will start water removal procedures as soon as we arrive. Our water damage Summerville professionals make a point to keep customer service as our main priority, and they will do whatever they can to make you feel comfortable the entire time we are on the job. From the actual water damage remediation to the financial aspect, you can rely on us to guide you through the process. We know that insurance policies can sometimes be difficult to understand, so our mold removal Summerville team will file your claim for you. From submitting the all the paperwork, communicating with your representative and following up on the status of the claim, we will do it all. If for some reason you insurance policy does not cover your water damage, there is no need to worry, our water damage Summerville staff always offer affordable prices on all of our services. We want to show you just how dedicated can be to you, so call our water damage Summerville agents at 911 Restoration of Charleston today and find out how we can give you a fresh start.